A great animation to use in your carnival celebrating shows, this carnival video loop goes on forever. A smooth motion backdrop for you to play with. 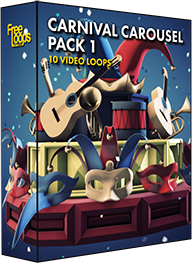 This video loop is part of Carnival Carousel Pack 1.